Brigg and District Poppy Appeal organisers hope they can beat last year’s total of £20,600 raised if people continue to support the British Legion. Local Royal British Legion members are urging people to not only buy and wear their poppy with pride, but also to support fund-raising and remembrance events. On Remembrance Sunday, November 8, the parade will form at 10.25am in Station Road, to walk to St John’s Church for the annual Service of Remembrance, which will start at 10.50am. The parade will be led by ex-service people and members of the local Royal British Legion branch. They will be followed by town councillors and then members of local organisations. Brigg ATC Band will accompany the parade. 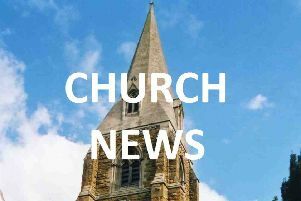 The service at St John’s Church will be led by Father Owain Mitchell, Vicar of Brigg and chaplain to Brigg’s town mayor. After the service, the parade will reform in Wrawby Street outside the church, before processing to the war memorial for laying of wreaths at noon. A two-minute silence will be observed in church at 11am and also at the War Memorial. Service at St Thomas’s 9.30am, followed by the Town Council parade from the Market Place to the War Memorial, where there will be a short service of remembrance and wreath laying by various organisations in the town. Parade lines up in the Market Place at 9.45am and heads to the parish church for the service at 10am, followed by wreath-laying at the war memorial at 11am. Road Closure South Street, War Memorial and Buttermarket from 10.30am to 11.30am.